Our accredited Accounting and Finance degree helps you achieve professional status faster. You’ll benefit from the latest industry knowledge combined with the practical skills to launch your career. On this course you develop the knowledge needed for a successful career as well as professional membership of the accounting profession. You learn about the risks and interdependencies of the modern global economy. And you’ll gain practical skills through real-world problem-solving exercises. This includes trading-floor simulations, using real-time data from the Bloomberg Professional service platform. You’ll benefit from a solid grounding in the principles of business before focussing on corporate finance, financial institutions and markets, as well as more specific aspects of corporate and managerial accounting. The Chartered Institute of Public Finance and Accountancy (CIPFA). These accreditations means you’re not only part-way to qualifying as an accountant but the topics you study relate directly to industry needs and will be relevant in your career. You'll normally need to complete an International Foundation Year in order to apply for first year entry. The International Study Centre on campus provides a range of options. Successful completion of the course grants some exemptions to full membership. Students who choose to pursue full membership will need to pay for associated costs, such as membership fees and completion of the remaining modules. Please refer to the CIMA website for full details. Successful completion of the course grants some exemptions to full membership of the Association of Chartered Institute of Public Finance and Accountancy (CIPFA). Students who choose to pursue full membership will need to pay for associated costs, such as membership fees, exemption fees, and completion of the remaining modules. Please refer to the CIPFA website for full details. Successful completion of the course grants some exemptions to full membership. Students who choose to pursue full membership will need to pay for associated costs, such as membership fees, exemption fees and completion of the remaining modules. Please refer to the ACCA website for full details. Our courses prepare you for employment in corporate or public-sector accounting and finance, consultancy, financial services, investment banking, risk analysis, portfolio management and corporate finance. 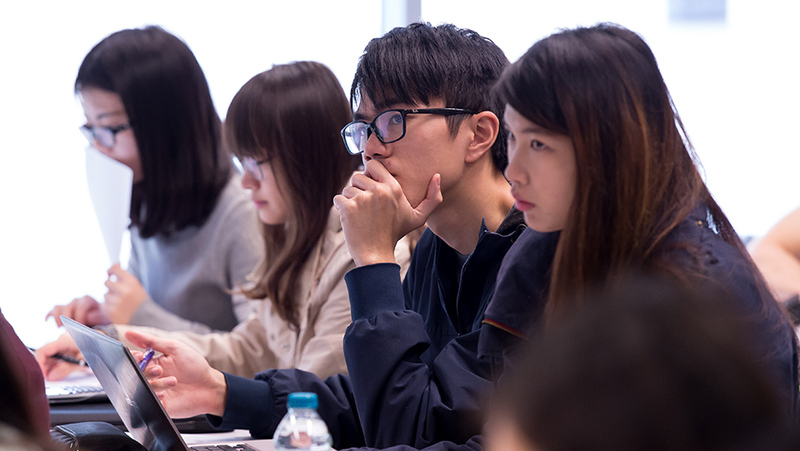 During your degree you gain the confidence to analyse published information, assess company performance, understand market behaviour and critically evaluate empirical evidence. At the University of Sussex Business School you benefit from extensive career support and business connections, including employer mentoring, networking and guest lectures.